Map showing the sea route to Dutch East Indies taken by Nederland Line in red. I made that journey as a child travelling with my family five times, first travelling from Calcutta to Amsterdam in 1953, then from Amsterdam to Singapore in 1954, then Singapore to Amsterdam in 1959, then again Singapore to Penang in 1960 and then back to Amsterdam in 1961. 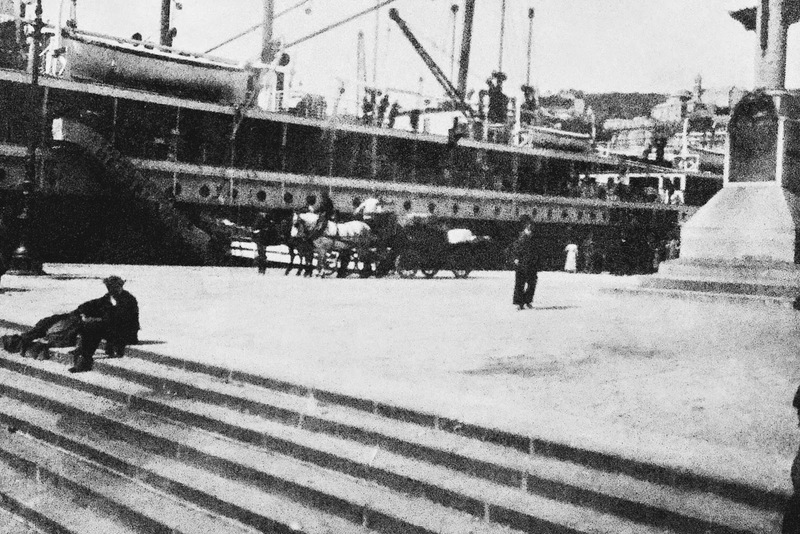 On that last trip, we went ashore in Genoa, Italy and took the train overland to Amsterdam, probably because my mother who always got so terribly sea sick, didn't want to make that crossing ever again. 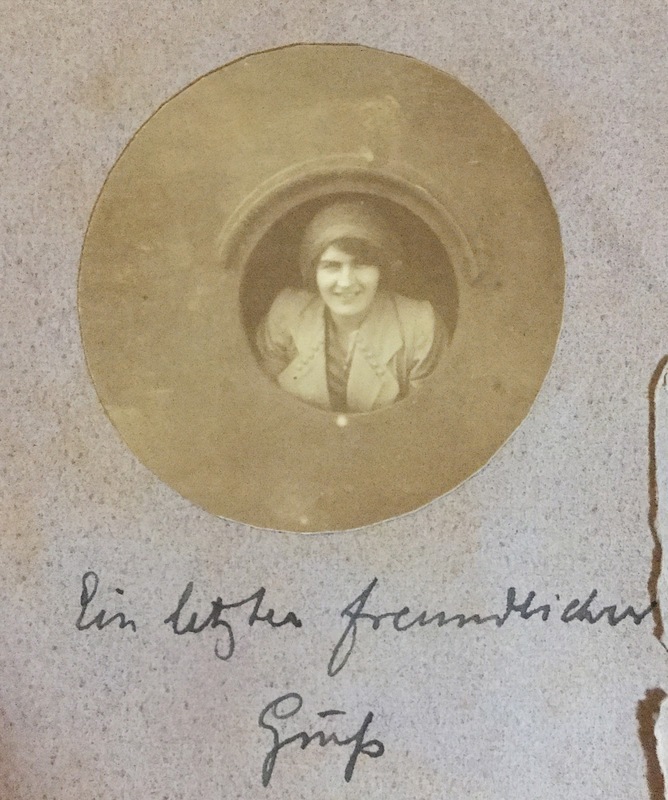 She might have also remembered that her mother Meta Peelen-Reith as a young bride, travelling to Java to get married, avoided the Bay of Biscay by taking the train from Luneburg, Germany to Genoa, where she boarded the ship Koningin Emma on 9th April 1914. 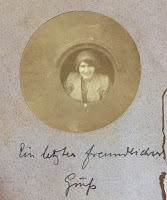 The map and photos are from the album of her letters home to her parents. Even if you didn't get seasick, like my father and I, it was hard work with the ship rolling and pitching. Getting back to your cabin was like climbing up a steep hill, while being thrown from side to side. The hand rails fixed to the walls now made sense. Everything that wasn't fixed would be rolling around. In the dining room the tables had raised edges, but the condiments still slid around and crashed to the floor. On one trip my parents had purchased oranges in Lissabon and had to hang them in the wardrobe to stop them from falling around the cabin. 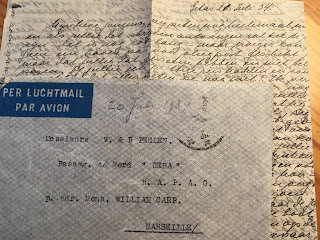 Going back through the family tree I can trace several ancestors who made that trip - my great-great grandfather Reinier Scherius, my grandfather Rein Peelen, my grandparents Blomberg to name just a few. 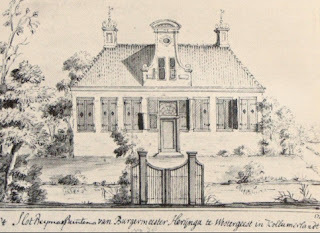 It was an iconic journey for us and also for many other Dutch with ties to Dutch East Indies.